The Food Depot will alleviate hunger in northern New Mexico in our role as a food bank by collecting and distributing food, by community service projects, and by education and awareness programs. 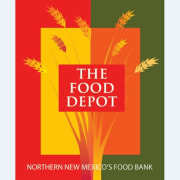 The Food Depot is northern New Mexico's food bank, serving as a not-for-profit clearinghouse for food donated by private and public sources to fight the ongoing battle against hunger and poverty. The food bank's service area includes seven counties: Santa Fe, San Miguel, Rio Arriba, Taos, Mora, Colfax and Los Alamos in northern New Mexico. The Food Depot distributes food and related products through 100 not-for-profit agencies, providing more than 230,000 meals to people in need each month. Would you recommend The Food Depot?